De Sims 4: Update 1.12.118 beschikbaar! Zojuist is er weer een nieuwe update uitgekomen voor De Sims 4! In de update zitten ditmaal onder andere de voorwerpen van de #TeamTrick vs. #TreamTreat-uitdaging en keert de reparateur weer terug als NPC! Om de update te downloaden, hoef je in principe alleen maar Origin op te starten, want dan start de update automatisch. Mocht dat niet gebeuren, dan kun je ook nog altijd met je rechtermuisknop op de box-art van De Sims 4 klikken en dan de optie ‘Controleren op updates’ selecteren. Did your team win? 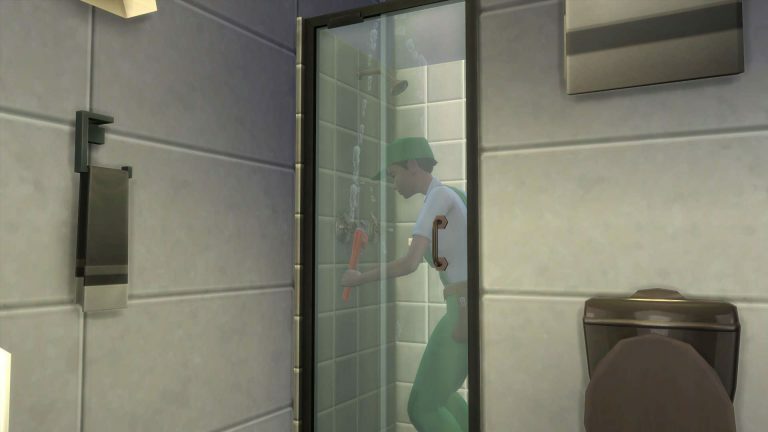 Did your Sims trick, treat… or a little bit of both? I know what I wanted to win! But wait, have you seen the Gummie Fish in your game yet? Or the Bonefish? No? Why are you reading this?! Go play now! Well, I hope you had fun with the challenge. And now – The rewards! A new door, Edgar the Generous, offers lionhearted thanks to #TeamTreat, and can be found in the Buy catalog, eager to greet your friends and neighbors. The Gumber Fesh Bow is now available in the Buy catalog, with a lifetime supply of Gummie Fish to fill your bowls. The Ornate Beauty storage chest can be found in your Buy catalog. Open it up and let it store all of your collections for you. We also are going to say goodbye to the Trick and Treat interactions. Thank you for spending time with us… and maybe we’ll see you again. But wait – is there more? We’ve heard tell that repairing is tedious, tiresome… now, you can call the Repair Service any time, day or night, to fix up your broken this and that’s… for a small fee of course. Found in the phone menu, the repair service will send over a speedy repair technician to quickly repair your brokenings. There are also new socials that are available on the repair person to gain Handiness skill for your handiless Sims. We have also addressed a handful of issues (if you could figuratively hold a single issue upon a finger, then there is literally a handful of addressed issues in this release). We fixed an issue that could prevent the maid from arriving during their normally scheduled work hours, if they attempted to arrive for work on a weekend. Maids should now properly work their Mon-Fri shifts, and will no longer attempt to work overtime on the weekends. As we were introducing the repair service to the game, we noticed long periods of time where the repairperson would stand doing nothing – this also occurred for other repair services (such as the maid). We have adjusted the ‘do-nothingness’ for the service NPCs, and are happy with the lessening of the nothingness time. You can now remove a fish from a fish bowl if the power is off. Apparently our fish were afraid of the dark, and would cat clamp themselves to the sides of the fish bowl if you attempted to remove them when the power was off. We fixed this, and now you can shove as many fish as you want into your pockets regardless of power state. We addressed several foundation issues that would result in Sims being unable to properly route over foundations within some lots in Willow Creek. The Booking Station and Interrogation Table will now properly function even when they are not in their default colors. Somehow these two objects lost all functionality if their colors were altered… yep, that happened. Thank you so much for all of your participation in the October Challenge! I hope you had as much fun with it in game, as we did watching the challenge play out. De Sims 4 Beleef het Samen: Nieuwe gameplay trailer over clubs! De Sims 4 Beleef het Samen: Nieuwe render!